Luxire leather mobile case in black calf leather. 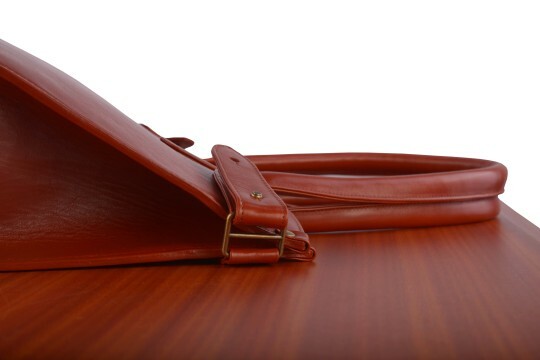 Luxire saddle stitched burgundy calf leather wallet. 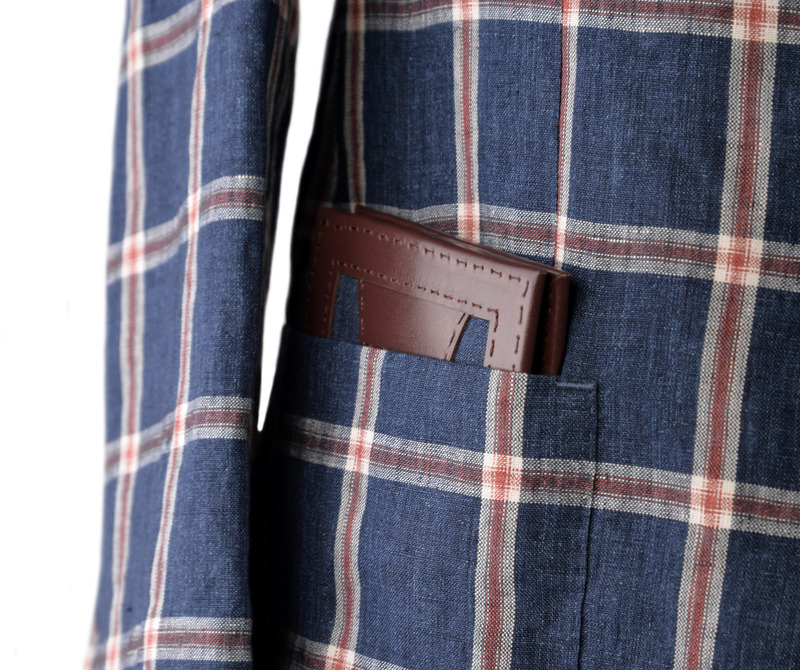 Consists of cotton tattersall checks internal lining. Luxire gloves constructed in soft brown sheep leather. 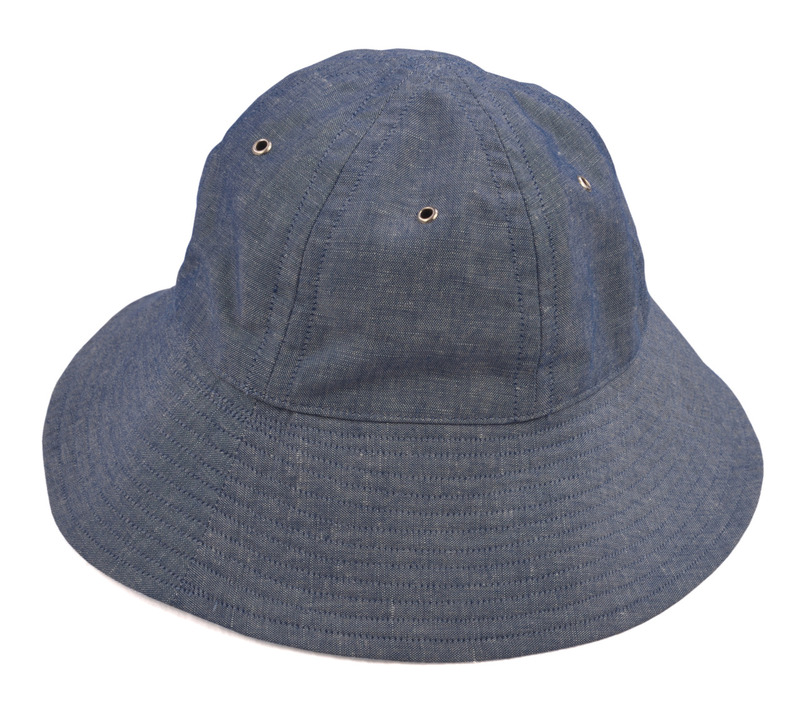 Luxire hat in washed_indigo_linen_chambray with reinforced stitch details. 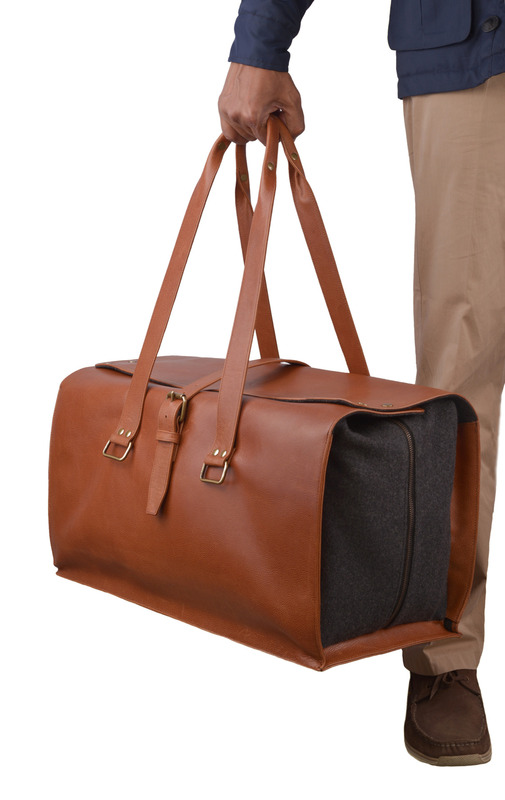 Travel bag made of brown leather and internal grey wool flannel. Hardware in brass material with antique brass finish. Luxire Shaving Kit - All you need to look good, bright and shining all day. 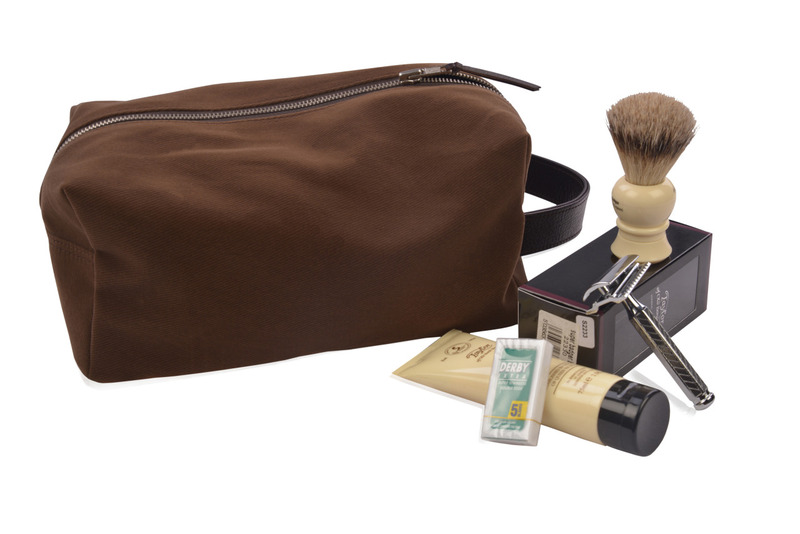 1 toiletry bag, big enough for your needs. Leather trims. 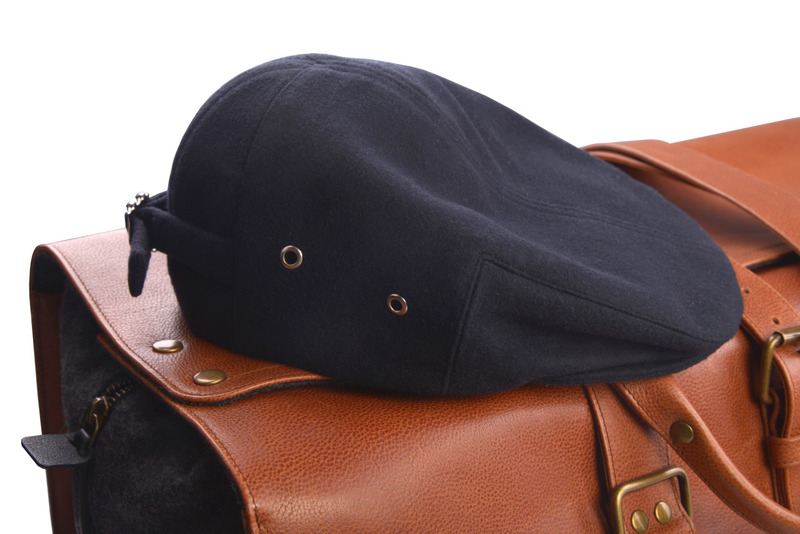 Lined inside with linen, the old, natural anti-bacterial fiber. 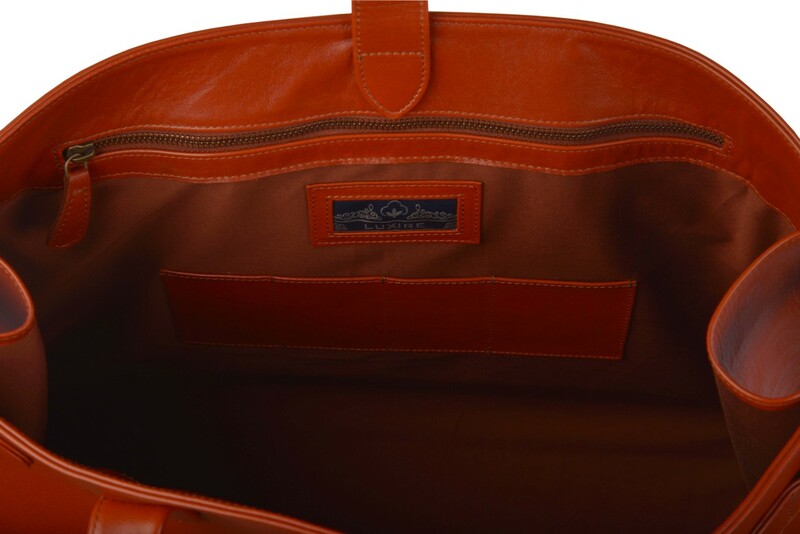 The inside of the bag is thoughtfully designed to hold your items in the right place and be easy to look for the item you need. Can be made as desired. 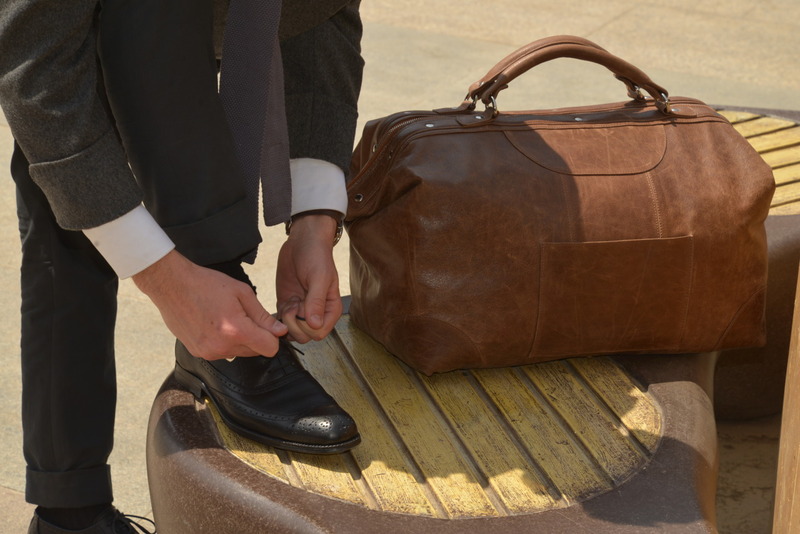 Luxire big vanity bag made of distressed calf leather and oxford brogue shoes in black calf leather. 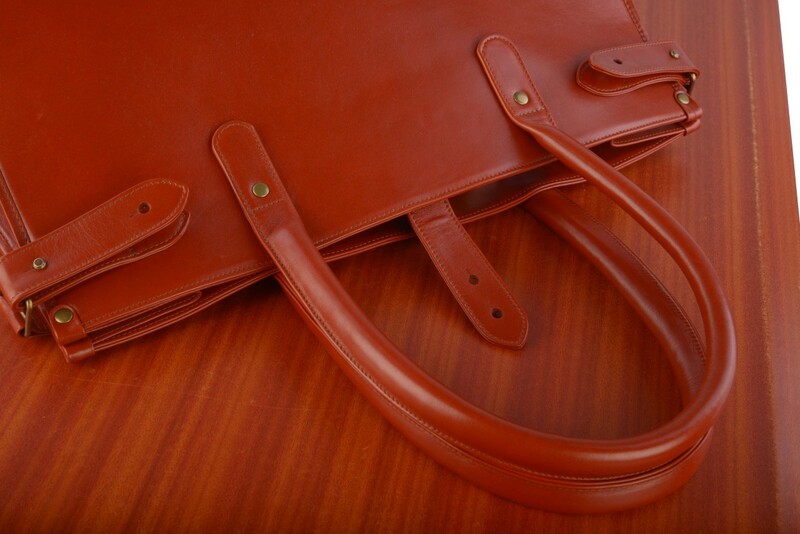 Leather- Soft grain calf leather. Size- 30cm high, 40cm wide, 12cm thick. Metal studs at the bottom. Brass hardware with nickel finish. 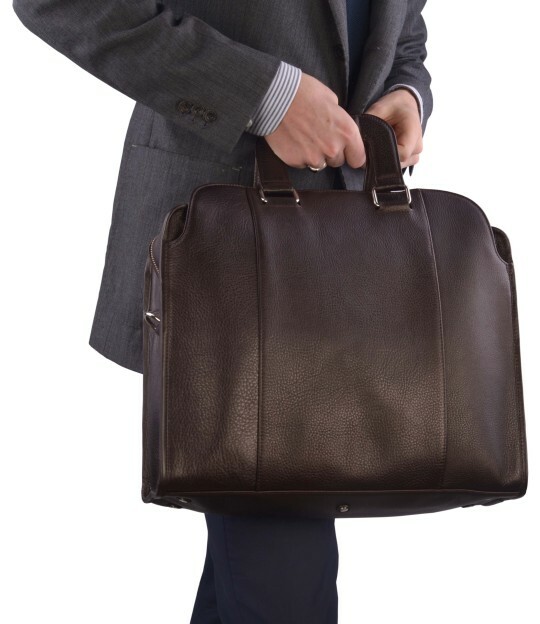 Constructed in soft, smooth grain , vegetable tanned calf leather. In this brass hardwares are used in antique finish. 2-Way brass zippers by YKK. 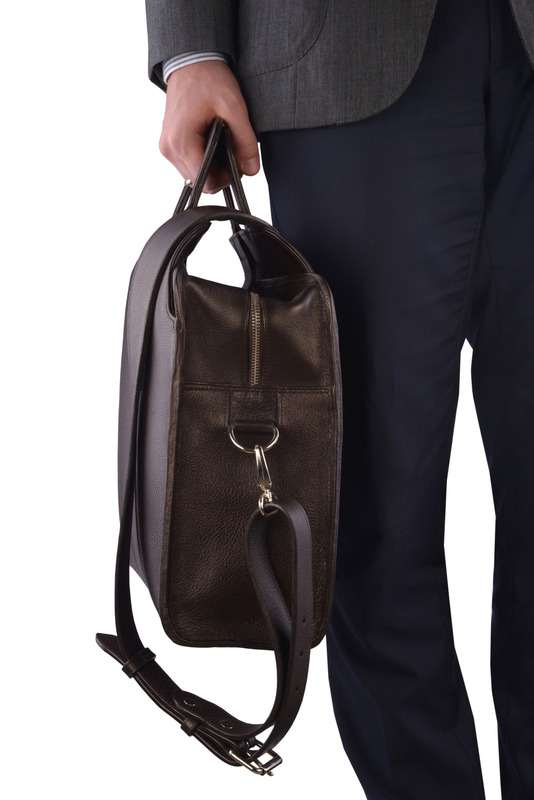 Width 8" , Height 7.5" , Depth 2.5"
Calf leather holdall bag with brass metal hardware. Width 21" , Height 9" , Depth 9"
Mono customise holdall bag in unbleached canvas , leather trims and antique brass finish hardware. 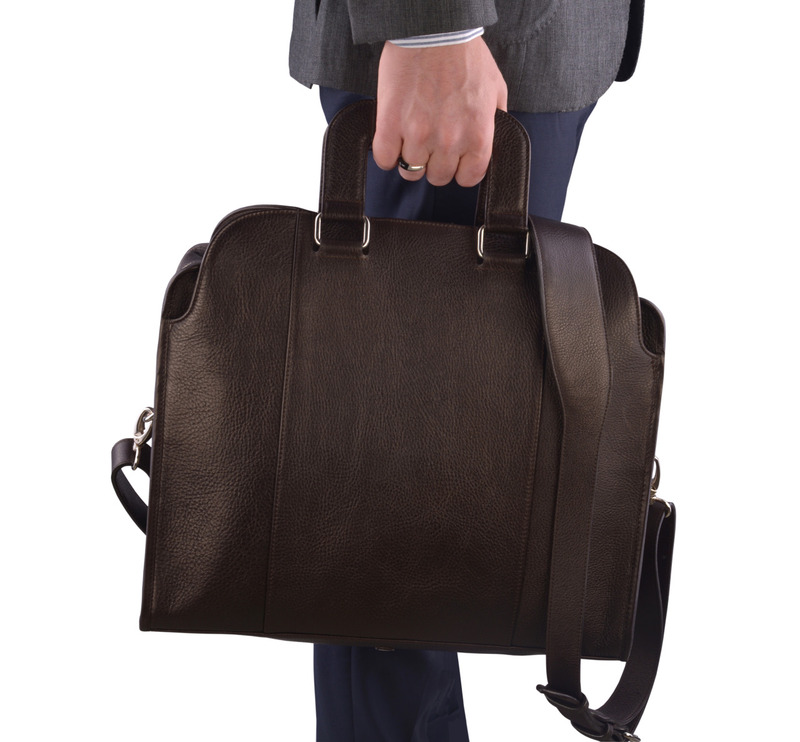 Luxire customise women's vanity bag made of chocolate brown suede with nickel finish hardware. 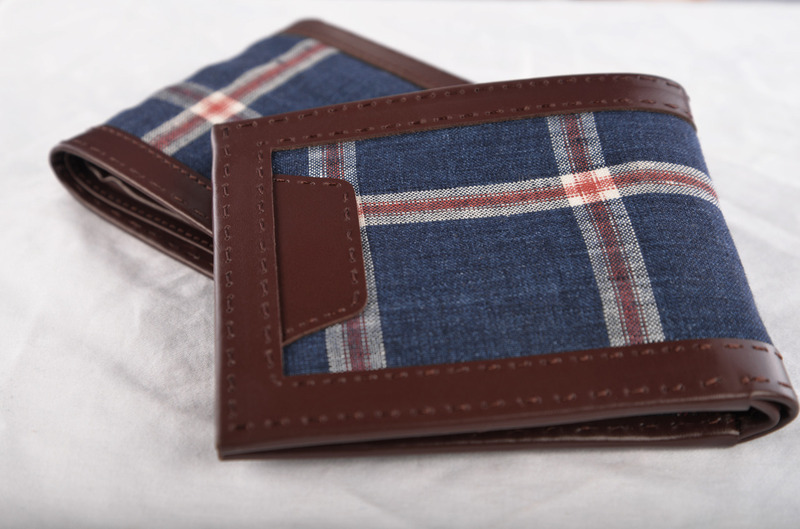 Flexible Opener , Internal 2 side pocket. 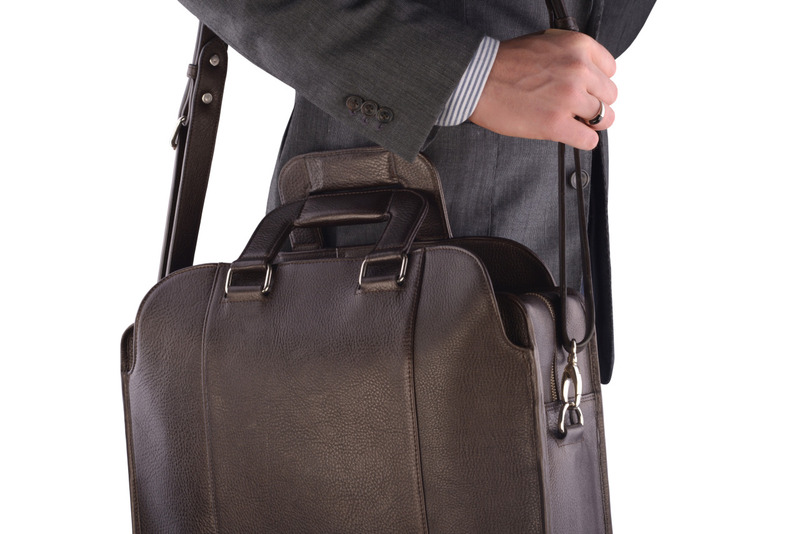 We have recently started making bags and have delivered a few to our select customers and have received excellent reviews. We are now taking orders for bags. Some can be ordered on the website directly. Other styles can be ordered only over email. Do write to us about what you would like and we will make it for you. 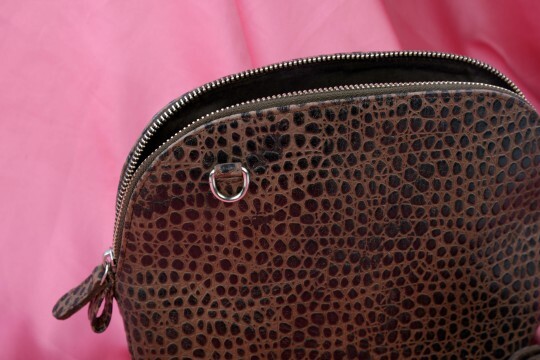 We do not currently source leather of crocodile, snake, lizard or other reptiles. 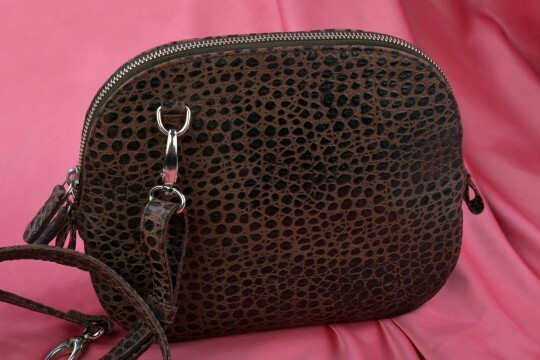 We can do real leather with faux reptile print though. 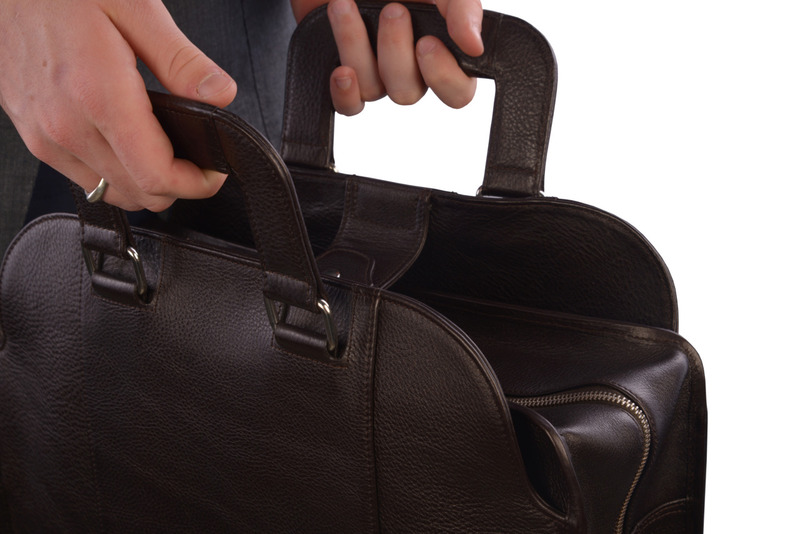 Portfolio Office Bag. Reviewed here. Order here.